Maranello, Modena, and St Agata ... homes of Ferrari, Maserati and Lamborghini. For many car enthusiasts they define the spiritual centre of the super sports car universe as northern Italy. Others might nominate Zuffenhausen, Germany (Porsche), Molsheim, France (Bugatti), or Woking, UK (McLaren). But if emerging maker Arrinera Automotive hits its ambitious targets, Warsaw, Poland will soon be added to that impressive, geographic roll-call. According to company CEO Lukasz Tomkiewicz, the word Arrinera is derived from Basque and Italian, which in direct English translation means 'truly streamlined', and for four years his team has been developing the Hussarya, a mid-engine supercar, designed to take on the world's best. The car's name is inspired by the Hussars cavalry that led the Polish army from the 16th to the 18th century, and the there's no doubting its horsepower. A 6.2-litre, supercharged Chevrolet (LS9) V8 sits between the axles, pumping 485kW/820Nm through a six-speed sequential gearbox to the rear wheels. The independent, multi-link suspension has been set-up and optimised by well-known British designer, Lee Noble. Rims are 19 inch light-alloy, shod with 255/35 R19 rubber at the front and huge 335/30 R19s at the rear. Brakes are massive, with six-piston calipers and 380 mm discs up front, and four-piston calipers clamping 350 mm rotors at the rear. Set to tip the scales at just 1300kg, projected performance for this carbonfibre missile is suitably staggering, with 0-100km/h to be covered in 3.2sec, the standing 400m despatched in less than 12sec, and v-max weighing in at 340km/h. 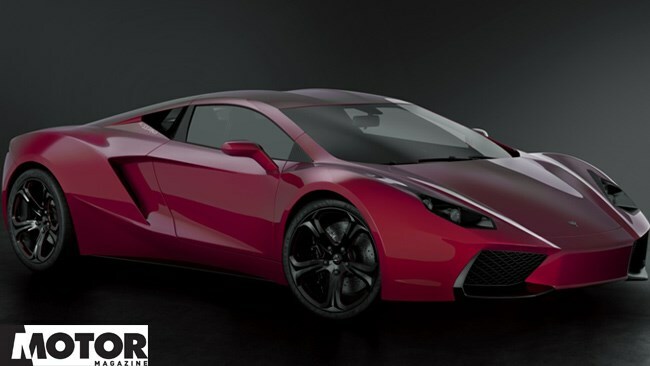 An early prototype, dubbed AH1, has been in development testing for the last 12 months, and Arrinera has been working with the Warsaw University of Technology on aero refinement. The result of that collaboration comes in the shape of these final renderings. The first pre-production prototype is scheduled to start road and performance testing at the Applus+ IDIADA automotive research centre in Spain later this year, and Arrinera says, "The vehicle will become available for purchase (in left and right-hand drive) no earlier than the end of 2013." And the price? Around $160,000 (in Europe). 1 / 3 Arrinera Automotive has spent four years developing the Hussarya, a mid-engine supercar, designed to take on the world's best.